ZANU PF Midlands Vice Chair, Godwin Shiri passed on in an accident at around 18:00 Hrs today just after the flyover along Bulawayo road. 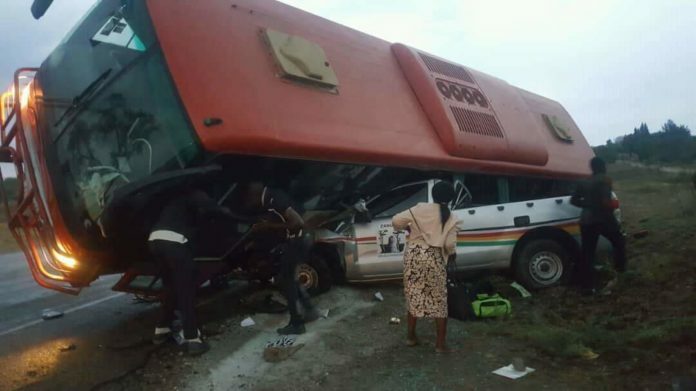 Reports indicate that a bus in an effort to avoid collision with a donkey lost control due to the slippery surface after todays rains and tumbled on top of Cde Shiri’s motor vehicle. He died on the spot.